In this post I am going to provide you with a detailed review of another product from the very famous clinical hypnotherapist Steve G Jones named as the Ultimate Conversational Hypnosis. I will also be discussing about covert hypnosis and we will see if it is really possible to hypnotize someone by just casually talking with them. The makers claim to reveal the secret covert hypnosis techniques to you using which you can virtually control every move and decision of people by just talking to them, that’s way too exaggerated and I would even say that it is a lie; you cannot control anyone’s mind. Like me, you might have also heard about people being able to hypnotize someone to the extent that they could use them like a puppet but, I really don’t believe in such things as per what I have known about hypnosis till now. My friends who are aware of my interests in the mind power have asked me questions like “what about the shows where people act like animals or whatever by agreeing to what the hypnotists say”, from what I have known about it, the subject unconsciously agrees to the suggestion because his inner mind finds no threat in doing something to entertain people. But, if anyone tries to manipulate someone to do something that is against his will, his natural mind defense mechanism gets activated and he/she starts reacting consciously. Conversational Hypnosis, however, is far different from controlling other people’s mind. Covert hypnosis is the ability to get what you want from others with the help of hypnotic suggestions used while having a conversation with them. It is an art of convincing/swaying others using your communication skills that is based on the techniques of hypnosis which makes your desired message to reach the other person’s subconscious mind. Most of our actions are controlled by our inner mind and whenever someone is not fully conscious it is possible to give him instructions that he will follow. Conscious mind acts like a gatekeeper to whatever information someone is receiving and conversational hypnosis is all about getting in without being caught by the gatekeeper. Of course, it is real and so many people around the world are using it for accomplishing various goals. Some people have learned this from various sources, whereas some are naturally good at using these methods. Sales people, politicians, businessmen and all others who put people under their spell are knowingly or unknowingly using a few hypnotic methods that work like a charm to influence people. I am not saying that these techniques can be used to control people, but it gives you the power to have a profound effect on them and gain their trust, especially if you are in a field where you have to persuade others. This is a product created by the celebrity hypnotherapist Steve G. Jones who has authored many books and have produced a lot of super successful personal development programs. Jones has incorporated all the essential information in this course which can give you a firm understanding about this subject and it will equip you with the knowledge to put them into use. Those who are in business will highly benefit from this program, but it is also a great tool for improving your personal life. The package contains 18 modules that focus on various different aspects of covert hypnosis. Modules start with the introduction, history and basics, then it gradually takes you deeper into the science of hypnotism. Each module has covers a plethora of topics so, I cannot tell you about it all in this single post, but I will highlight a few important ones here. This is a NPL technique and it is a great tool used in covert hypnosis. Here you will also learn mirroring method and its various forms that are applicable in different situations. The main requirement to perform hypnotic tricks is to first build a strong rapport with others which means that you should be “in tune” with their inner mind, that’s the way to make them trust you. For doing this, you will get to know about a technique that’s known as “mirroring” which is a trick to copy someone’s actions without getting noticed, this makes people to unconsciously believe that you are alike them so they will easily trust your words, you will also get to learn “cross mirroring” which you can use for the same purpose. 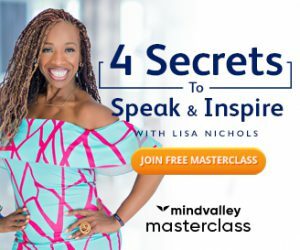 Here you will learn to leverage the power of words, this module will teach you the skill of formulating various commands that you can use while having a conversation to influence others with the magic of words. Eye accessing is a very interesting technique which enables you to read a person’s mind based on his eyeball movements. This module will help you to master this skill if you are willing to practice it. According to the author, we all move our eyeballs unconsciously in a particular direction with respect to what we are thinking. So, you can know a lot about other people’s mind by learning this stuff. You will learn the hypnosis methods that are used in stage hypnosis in this module. And various other interesting hypnotism related tricks like the pendulum hypnosis, fall back hypnosis etc. Modules 10 and 11 are created for the dating purpose which contains various tips, methods and lessons based on hypnotism that you can use for getting better at it. Module 12 is self hypnosis which I consider as the most important tool in hypnotism since it gives one the power to make the necessary changes in himself to get better. Modules 15 and 16 are a must for you if you are in sales, it will give you the power to make influential sales talk and this will highly help you if you want to master the art of negotiating. The final module is also a good one, where I found some great tips on starting a conversation that will invoke the interest of others and then being able to continue it in a way that I could direct it as I want. 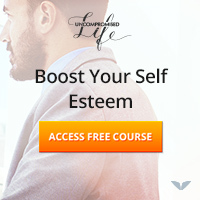 There are 6 bonus materials available with this program which includes 2 mp3 tracks for building confidence; one of these will help you to get more confidant in dating. Is ultimate conversational hypnosis a scam? Obviously, after writing this much positively about the product, I won’t say that it is not worth your money and time. If someone is looking for methods to control others, then it will definitely prove out to be disappointing and any other program which claims that is probably trying to trick you. In comparison to his other products, Jones has put a lot of stuff in this one so, it might take a bit long to finish this course, however, you will be getting a lot more than the price that you will pay for this material. What you will get from this program will highly depend on what you are expecting from this course. If you want to improve yourself in business, social circles and communication skills, then I would surely recommend this product to you, but, make sure to put your efforts because with so much information (18+ hour sessions) that requires practical usage, you will have to become your own instructor. Before finishing I would like to inform you about one very good benefit that you will get if you buy this course, it helps you to shield yourself from the hypnosis based tricks used by marketers, I find this one thing very essential as so many people fall for those types of promotional strategies. To know more about this product or to buy it, visit their product website here.